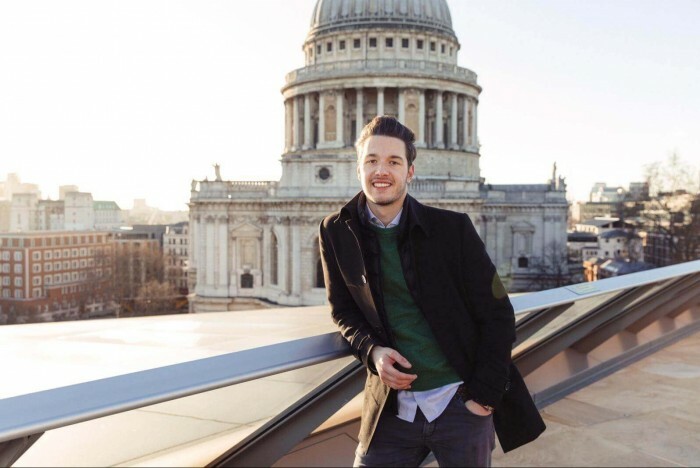 Luca Feser graduated LSE in 2018 and is co-director of Kickstart London. It’s a turbulent time in the UK. Brexit rears its ugly head in every conversation, the situation changes daily and consequently, instability is a big concern for businesses. So, starting your own company is perhaps an even more daunting task than it was before; but that’s not stopping the best young talent in London pursuing their entrepreneurial ambitions. Kickstart London—a startup incubator and 10-week mentorship program for students studying at London School of Economics Department of Management (LSE), Imperial College, King’s College, London School of Business, University College London and University of Arts London—received its highest number of applications this year, nearly 1,000. And with the UK topping Forbes Best Countries for Business 2019 for the second year running, despite the chaos of Brexit, perhaps these students have the right idea. The Kickstart program originated at LSE’s Department of Management and is co-run by Luca Feser. Luca studied a Masters in Management of Information Systems and Digital Innovation, which covers topics like artificial intelligence and blockchain. He graduated from LSE last year as part of the class of 2018. He was attracted to Kickstart—now in its fourth year – as he has his own startup currently in development. It’s a peer-to-peer 'prizification' platform where users can sell their unwanted products by turning them into lottery prizes. The Kickstart incubator, he explains, is a great way to enhance his entrepreneurial toolkit. It’s not just his own startup that is benefiting from Luca’s creative juices—he became the director of Kickstart London soon after joining, and over the last 18 months has set his entrepreneurial mindset to work on the project. Before, only LSE and UCL were involved, and instead of creating their own startups they helped pre-existing ones. “I wanted to change the program and include all the top London universities. Then, within each team have a member from each school,” Luca explains. Partnered with Entrepreneur First and The Family, Kickstart London aims to capitalize on how different people think and problem solve. There are 10 teams of four in this year’s cohort and Luca outlines that of these—on average—two come from a technical background, one from a commercial and sales background, and the other with creative and design skills. Each startup is allocated a mentor, established in the relevant field, who provides guidance and advice to the participants. Richard White, co-founder and president of Goodlord—a property tech startup—is mentor to the Oikos group. Their startup aims to provide information on where to live in London for students not familiar with the city. They are a group of international students who are using big data technology to create a platform of aggregated data about London locations, taking into consideration proximity to bars, gyms, places of work and university, as well as price range. Other examples of current startups in Kickstart include Athena, a platform which links skilled refugees with jobs in the UK market; and Elize, which is focused on solving the problem of inefficiency in work meetings. Luca thinks the reason so many students are interested in entrepreneurship is that it provides an outlet for their creativity that’s different from their university course. “It’s appealing because of its dynamism, and university is a perfect time to explore this,” he says. Luca also highlights how not everybody involved in Kickstart wants to become a full-time entrepreneur after graduation, and that the experience can be valuable in other ways. “Working with people from different backgrounds, with different skillsets, and building your network across a big city like London is an experience that will prove valuable for all careers,” Luca explains. These strong ideas of collaboration and embracing new perspectives is an ethos back-dropped by political discussions in the UK seemingly at odds with these ideals. But Luca doesn’t think that Brexit is affecting students' outlook all that much. “I don’t think students are viewing Brexit as a cultural barrier. I’ve noticed the attitude of students has been to just get on with it,” he says.